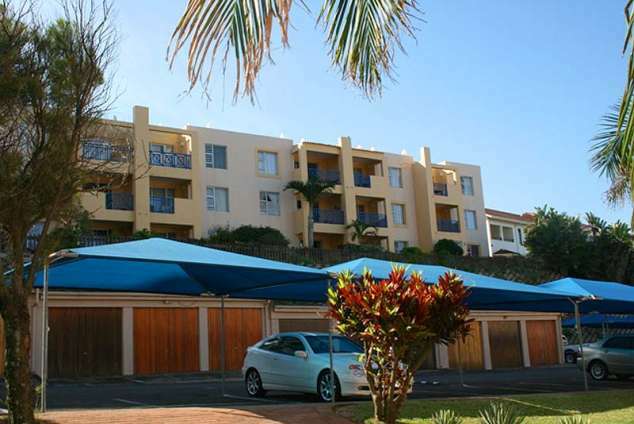 Key Largo 2 - Amanzimtoti Central Accommodation. Key Largo is an upmarket two bedroom apartment on the ground floor with beach views. It is situated on the beautiful beach of Doonside. The entire unit is furnished with white washed furniture, to give the unit a relaxed, holiday atmosphere with fresh decor lines. The main bedrooms offer a queen size bed and en-suite bathroom. The second bedroom is also fitted with a queen size bed. Both bedrooms are fitted with excellent beds to ensure a relaxing night's sleep while you are on holiday. There is a second bathroom fitted with a shower. In total we can accommodate six (6) people. The fully fitted kitchen is open plan and equipped with an oven/hob, fridge/freezer and dishwasher and microwave. The Lounge has been tastefully furnished, and is equipped with a LCD flat screen television and decoder with DSTV Compact bouquet. For rainy days there is a DVD player for your entertainment. The Lounge has a lovely ocean view and a door that opens onto the patio, which leads to a communal garden. The secure complex offers controlled access, security, allocated shadow netting parking bay/s, swimming pool and a tennis court on site. Linen and bath towels provided, NOT FOR BEACH USE. The main swimming beach has lifeguards on duty. Rules & Regulations will be provided with booking enquiry. 54497 page views since 11 Nov, 2011.